They’re all different from each other and they’re different from anything I’ve ever sold in the past. 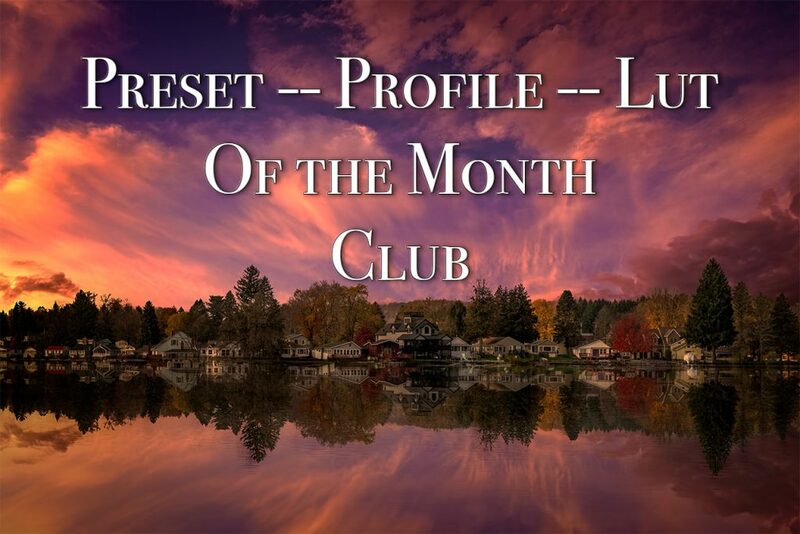 What is the Preset — Profile — LUT of the Month Club? This Is Important: If you want any of the files listed above, you must become my Patreon before 1st of that month. Patreon initiates the charges on the first weekday of the month. If you want that month’s benefits, you must become my Patreon, at the applicable tier level, BEFORE the first of that month. So, if the files listed above are for the month of October, you must become my Patreon in the month of September. Patreon doesn’t charge you the moment you become my Patreon. You card will be charged, only once, on or around the first of the month after you make your pledge. By the 7th of the month, I’ll send you the files. Those that pledge $1.00 or more a month will have access to my Patreon feed where you can ask me questions where I’ll give priority to answer them. Meaning, if I have an inbox of 50 questions on my computer, I’ll answer your question, posted on Patreon, first. You get to pick any one (1) of those three packs. These presets and LUT files are available ONLY to my Patreons and after the month ends, they’ll be gone forever replaced with different packs. They will never be sold or offered anywhere else. After you make your pledge of $10.00, message me on Patreon telling me what pack you’d like. Shortly after Patreon charges you the $10.00, I’ll email you a link to download your pack. (Patreon charges everyone the first week of each month). *LUT Files work in Luminar 2018, On1 Photo RAW 2018.5 on up, Photoshop or any application that uses LUT files. You get to pick any two (2) of those three packs. These presets and LUT files are available ONLY to my Patreons and after the month ends, they’ll be gone forever replaced with different packs. They will never be sold or offered anywhere else. After you make your pledge of $15.00, message me on Patreon telling me which two packs you’d like. Shortly after Patreon charges you the $15.00, I’ll email you a link to download your two packs. (Patreon charges everyone the first week of each month). You get all three of these packs. These presets and LUT files are available ONLY to my Patreons and after the month ends, they’ll be gone forever replaced with different packs. They will never be sold or offered anywhere else. Shortly after Patreon charges you the $20.00, I’ll email you a link to download your three (3) packs. (Patreon charges everyone the first week of each month). Pledge $30 a month and after Patreon charges your card, send me one (1) image and tell me what program or programs you’d like me to use to process it. I’ll do the processing in either Lightroom, On1 Photo RAW 2018, Luminar, Photoshop or any combination of those four apps. When you send me the file, tell me the program(s) to use and the look you’re going for e.g. low key, high key, grunge, colorful, make it pop etc.I will make a recording as I process your image so you know all of my steps and explanations of why I’m doing what I do. Once done, I’ll have the processed image and the video of me processing it, available for you to download and view on your computer. Neither the video or your image will not be shared publicly and will not be online anywhere other than the site I use for you to download it. Pledge $50 a month and after Patreon charges your card, send me the link to your portfolio or, send me the images in your portfolio. 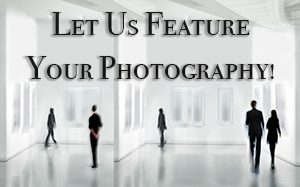 I will record a video as I comment, critique and offer suggestions about your portfolio with specific recommendations concerning the images. I will make the video available for you to download and view on your computer. The video will not be shared publicly and will not be online anywhere other than the site I use for you to download it. Q: I missed the first month this started. Can I still join? A: Yes, you can join at any time and cancel at any time. Q: I want a package that was available a few months ago, can I get it? A: Unfortunately, no. Once the month to subscribe for that package has passed, the files are no longer available. Q: Are the Profiles and LUT files the same? A: No, the Lightroom Profiles are different than the LUT files. So, if you primarily use Lightroom and use Luminar 2018, On1 Photo RAW 2018.5 or any other app that uses LUT files, as a plugin, you’ll find the LUTs to be different than the Profiles. Q: How do I let you know which of the files I want? A: When you become my Patreon, you can message me directly through their website. Send me a message letting me know which pack you’d like and after the charge cards clear, I’ll send you your files. I don’t know of a way to automate so we have to do it manually. Q: Why the first of the month and why do I have to wait until maybe the 7th of the month to get my files? A: Patreon doesn’t charge you the moment you become my Patreon. They charge all of my Patreons at the same time, usually on the first or second of the month. You need to wait a few days before I send out the files because it takes a day or so for the charge to go through and at times, charges are declined — it takes a few days before Patreon lets me know the charges that went through and the charges that were declined.